Rosen Residence by Craig Ellwood | Shelby White - The blog of artist, visual designer and entrepreneur Shelby White. 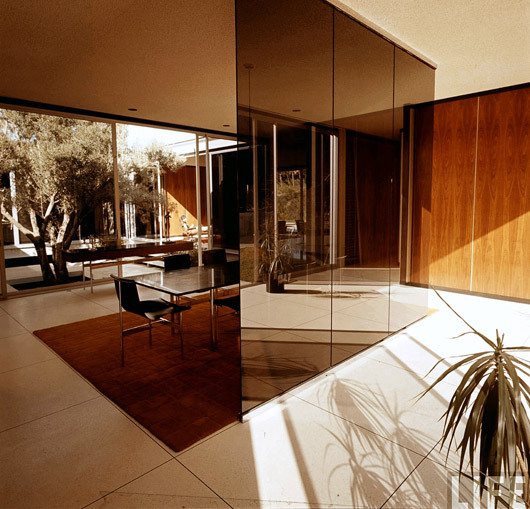 The Rosen Residence was designed by Craig Ellwood Associates for Gerald and Arlene Rosen. The house was constructed in West Los Angeles during the 1960’s. I really like the wood meets modern aesthetic throughout the house. Check out the Eames lounger and ottoman sitting in front of the old style piano. 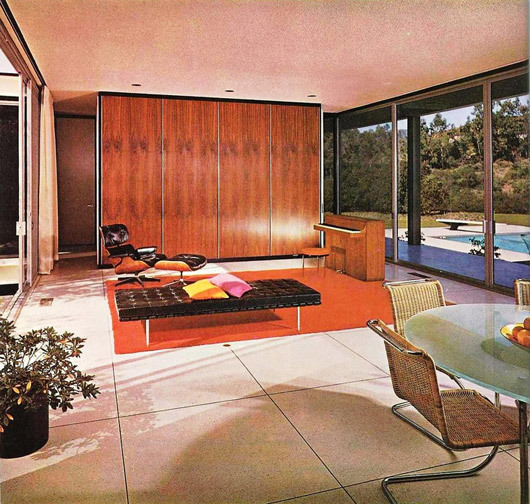 Via the Mid-Century Modern Interiors pool. the huge tiled floor and fireplace look amazing. and that view outside – wow. 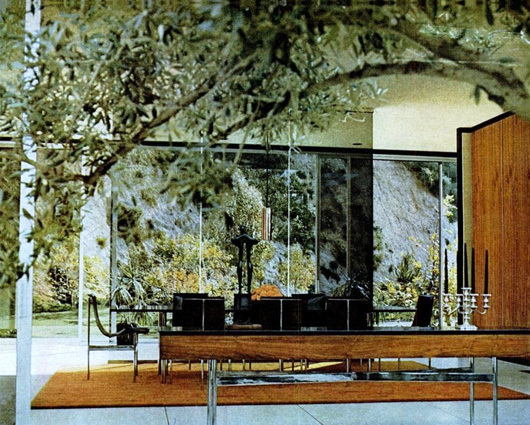 Why don’t they make houses with floor to ceiling glass any more? 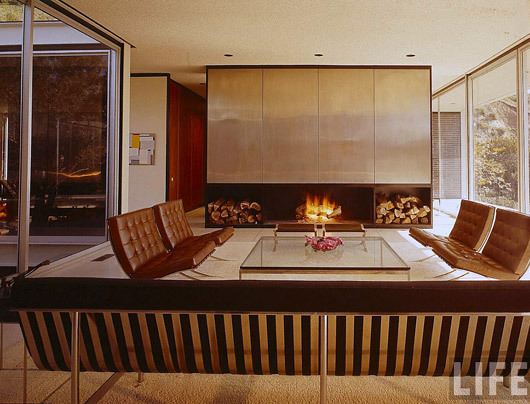 The floor, that mirror/divider wall and the fireplace are so perfect. The Barcelona / Eames chairs are the icing on the interior design cake. mmm. Tasty cake at that! I sure would have liked to have a house like that! I grew up visiting this house. I just bought my own mid-century modern house (nothing near as nice!) and I’m glad to see photos up here for ideas. Those terrazzo floors were stunning with all that wood. Cold, though! Good thing it’s in Los Angeles.